When sitting in an office 24/7, which a lot of us do for the most part, we have to consider that we are being very singular in many aspects. A lot of writers are outgoing, but then must sit behind a computer for a good share of their day. First, writing requires life experiences to be able to create ‘real’ characters. Second, it’s imperative for writers to interact with other people in order to understand what’s going on in the world. And different social media formats don’t replace actual interaction with humans. As writers, we want that time with our computers. Where else can a person hunt and peck, creating imaginary lives, personalities, and scenarios that will come alive on someone’s ebook or in a printed book? There needs to be a balance that allows us to keep living as well as bring that incredible life to our characters which requires the long hours on the computer. How do you balance your time as a writer? What do you do to be sure you are interacting with ‘normal’ people? How many hours a week/day do you give to your craft? Do you allow time to learn new aspects of your craft through critique groups, classes, etc.? OR, are you the 24/7 writer who never lifts his head from the sand to see what’s going on in the world around you? I could write a story around that? I've been listening to the news or a conversation and suddenly, one word will wake me up. I can see a story as clearly as if I'd already written it. Have you had one of those 'aha' moments that woke you up? There are too many folks too anxious to submit before they’re ready. I’ve just finished most of my conference schedule for the year, and I have to admit that I’ve seen folks signing up for one appointment after another with first this agent and then that editor. Too many appointments, not enough time in the classroom. After all, that’s why they’re at the conference, right? Apparently not. Because instead of learning their craft, they seem to simply want to shop around manuscripts…some ready…most are not. I would think after spending anywhere from $500-well over a thousand dollars, a writer would want to learn more about the craft. Sorry, sitting here a tad frustrated that I saw so many writers with a lot of potential doing nothing but shopping around a tired old manuscript that hasn’t changed in years when they could benefit themselves by sitting in a classroom learning the craft. Okay, done ranting, but I fear I’ll see the same folks next year doing the same, and they have too much potential to be stuck in a rut. Yes, Cheryl Martin's at it again! So, Brandon, how did you end up involved with The Hawaiian Island Detective Club? I met Leilani in math class and then discovered that she lived just down the street from me. Leilani got me involved in some mystery thing happening at the music school, but I totally do not like spying and investigating. I’m a surfer guy and I like cars, too, just like Sam. He’s a pretty cool guy. ‘Course Maile and Leilani think Sam’s belching is annoying, but I think it’s pretty cool and wish I had that skill. So, if you don’t like mysteries, were you able to help Leilani, Maile, Sam and Kimo catch the culprit at all? (Brandon groans) Yeah, I did volunteer to help Leilani a little, but never again! It ended in disaster. Hmm . . . that’s not what I heard. Well, I guess it’s how you look at it. Believe me—I won’t be doing any more snooping or going on any stake-outs again. (Brandon sighs) ’Course it may not be so easy if I’m hanging out with Leilani. She’s way into this detective stuff. Oh! So you and Leilani are hanging out, huh? Uh . . . (Brandon’s face turns bright red) Sometimes we go surfing . . . and maybe get some shave-ice. You’re new to the island, right? Yup. Just moved here from Oregon. My mom got totally burned out on all the foul weather there. She wanted lots more sunshine. I didn’t know they surfed in Oregon. They do, but you have to wear a wetsuit most of the year. I have a bunch of friends in California so I visited them a lot to ride some great waves and work on my skills. Thanks for visiting, Brandon, and I hope we’ll hear more from you—maybe even see you involved in another mystery! Well, that's just a taste of the fun Cheryl has with her characters. If you have children or grandchildren in the middle-reader age group, by all means, get a copy of Ukuleles Undercover! I'm all for giving away a copy because it's such an awesome read, I want to get it into more hands. Just leave me an email addy in your comment that tells me why you'd like to win a copy. Ukuleles Undercover rocks! Adults will love this series as well. I know I'm hooked. 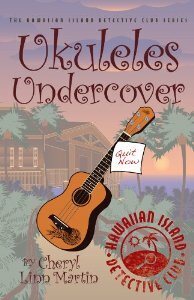 The sounds of ukuleles at the local music school blend with warnings and Leilani can't resist gathering the Hawaiian Island Detective Club together in order to discover who the culprit is. One quirky character after another is suspicious. Leilani even considers her dreaded math teacher, Mr. Edwards, who she dislikes because of her mom's crush on him. Things are never what they seem as each character is convincingly guilty. Leilani does her best to keep her mind on the mystery all the while falling for the new guy in class. Another surfer. Grrrrr....she has such a soft spot for surfers. But in no time at all, she convinces Brandon to join the other "detectives" to find out who is behind the threats at the music school. I just have to give away another copy of The Pastor's Wife Wears Biker Boots. So if you'd like an ebook copy, please leave a comment and your email addy! The correct email addy! I won't hunt all over the net to find it! I read pastor's wife--Karla Akins' book as her crit partner. I reread it as her agent. Now, it's my bathtub read 'til it's done. What a wonderful book! I'm halfway through it again, and wow! What a terrific read. and tell me why you think you deserve it, and I'll pick one to go out this week. for Cheryl Lynn Martin's middle-reader on Friday afternoon. the scary road of punctuation marks and editor pet peeves. You want to be sure and have plenty of tissues, because if you aren’t laughing, you’ll be crying. Karla Akins is a preacher’s wife and she knows from where she speaks. With her own life challenges, she writes about a pastor’s wife named Kirstie who faces countless challenges of her own, and she finds herself a tad depressed. Her husband, being a husband, tells her he’ll pray about it. While he’s praying, she’s headed to the bike shop to pick out a bubble gum pink motorcycle. You heard right, a motorcycle. She longs to feel freedom blowing through her hair and she has loads of eccentric friends to ride with her. What will the church folks think? What will her family think? Kirstie loves roaring down a road less traveled by most women over forty, but she’s not just riding her bike for the fun of it. Kirstie has a ministry. However, certain church members have secrets to hide, and when God uses Kirstie’s ministry to fill the pews with leather-clad, tattooed bikers, those secrets could be exposed, and some will stop at nothing to hide the truth. Kirstie and her motorcycle “gang”—two church matrons and a mouthy, gum-smacking non-church member—discover that road-toughened bikers are quite capable of ministering to others, and faith is fortified in the most unexpected ways. The book includes a teen with autism. Akins has twin boys with autism. It also addresses the issues of Alzheimer’s. When she wrote the book, she didn’t realize her mother-in-law would come down with Alzheimer’s. She now lives with their family. Karla realizes that in writing her book, God was preparing her for things to come. “I think there are several things in the book that people will identify with. There’s a chapter devoted to the Patriot Guard and a fallen soldier returning home from Afghanistan. Struggling to raise kids in a modern world when temptation is everywhere is also addressed. And the pressures of pastoring a church. But the emotions and experiences are universal because they’re human,” she says. There’s also an awesome mystery attached to the church history and those most adamant about controlling Kirstie are the ones with secrets to hide. DON’T MISS THIS HILARIOUS NOVEL. 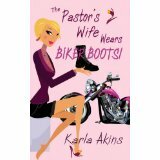 THE PASTOR’S WIFE WEARS BIKER BOOTS! By Karla Akins. All right, step right up, here you go, we've got a winner! We've got five winner! 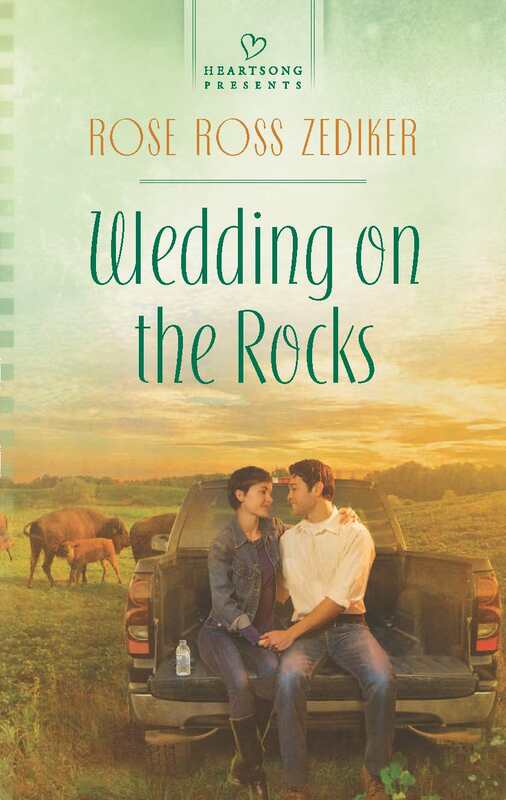 Juli won Rose Zediker's, Wedding on the Rocks! I see there was a lot of interest in Karla's The Pastor's Wife Wears Biker Boots. Tune in later this week for an interview with Karla and another chance to win her book. BTW JULI, YOU'VE GOT TIL 6 TONIGHT TO SEND ME YOUR EMAIL ADDY SO I CAN LET YOU KNOW, OTHERWISE IT GOES TO SOMEONE ELSE! You can purchase The Substitute Bride here. Five Books! Four Authors! Giveaways--Yeah! Golly Gee, but I love to give away books! And I’ve got two ebooks and three print books just chomping at the proverbial bit to land in someone’s hands. Let’s start with author, Rose Zediker. Wedding on the Rocks. This is Rose’s fourth book for Heartsong, though she’s written many others. 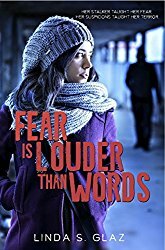 When she traded small-town life for the bright lights of Chicago, Jennifer Edwards yearned to discover a world beyond Faith, South Dakota. So when her father's illness calls her home to run their cattle ranch, she tells herself it's temporary. Then why is she even thinkingabout a future with archaeology professor Brett Lange—the boy she left behind—whose life's work is digging up the past? Rose captures the heart of romance in Wedding on the Rocks. 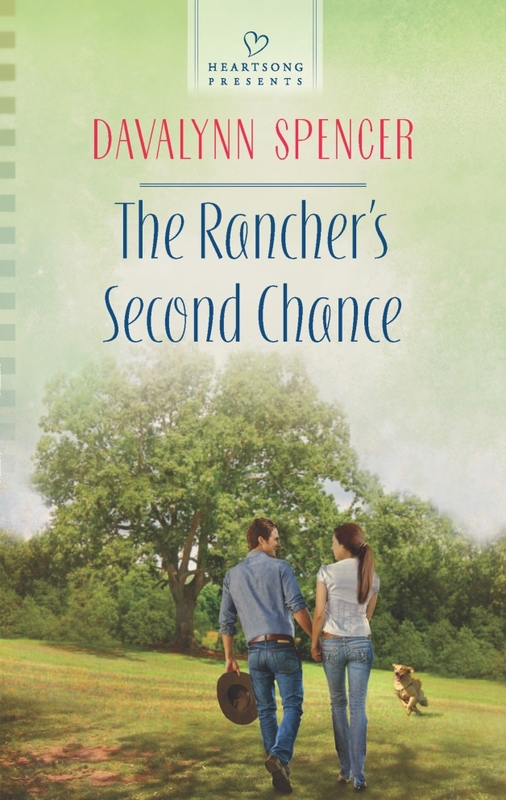 Next is Davalynn Spencer and her novel, The Rancher’s Second Chance. 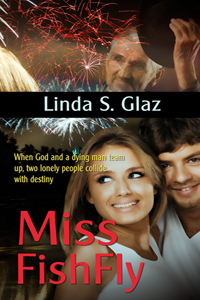 This is Davalynn’s first novel with Heartsong, but not her first rodeo, so to speak. She’s actually been a clown when she filled in for her husband who keeps the bull from the rider. Not many folks can say that! Laura Bell is home for good. 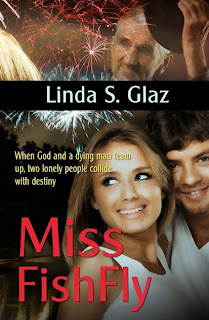 Twelve years ago she left her home behind—but she could never forget the boy next door. Now, hurting from a broken engagement and fed up with city life, Laura returns to her family's ranch. But her homecoming is bittersweet. Twelve years apart has changed Eli Hawthorne. Yet the bond they once shared has only deepened with time. If you like a country setting with a handsome cowboy, Davalynn’s your writer. She knows the genre because she lives it! Let’s all experience a handsome cowboy and plenty of conflict in The Rancher’s Second Chance. How about plenty of laughter? Yup, you got it. Karla Akins, The Pastor’s Wife Wears Biker Boots…from Harbourlight, an imprint from Pelican Book Group, and she knows what she’s talking about. Pastor’s wife Karla Akins tells a tale full of tears and laughter. And she understand what it is to be a pastor’s wife and need a bike to occasionally vroooom off into the sunset and calm the tension. 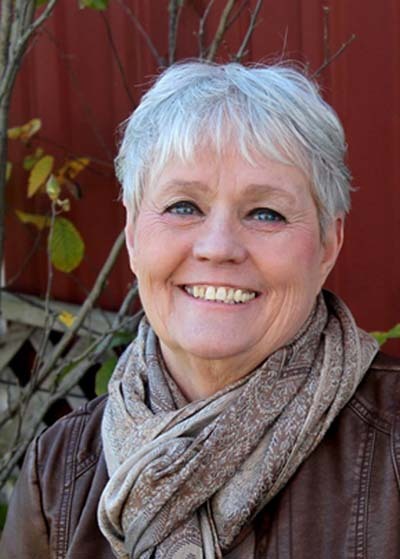 Pastor's wife, Kirstie Donovan, lives life in a fishbowl, so when she hops on the back of a bright pink motorcycle, tongues start to wag at the conservative, century-old First Independent Christian Community Church of Eels Falls. Kirstie loves roaring down a road less traveled by most women over forty, but she's not just riding her bike for the fun of it. Kirstie has a ministry. However, certain church members have secrets to hide, and when God uses Kirstie's ministry to fill the pews with leather-clad, tattooed bikers, those secrets could be exposed...and some will stop at nothing to hide the truth. If you love to laugh, love a good mystery, and love a few tears sprinkled in like a straight-laced baptism, then Biker Boots is for you! Finally, I love to give away books, too!!! So I’m giving away two copies of my own books. First: The Substitute Bride. Rancher Jared Callahan eagerly awaited the arrival of his mail-order bride. But instead of the kindhearted woman who wrote about escaping her constrained city life, the beauty who arrived in his remote frontier town couldn't remember anything. Not him, not their long-distance courtship, not even her own name. What is he going to do with this petite spitfire? Find out how his bride discovers her true identity in The Substitute Bride! Polar Bear Plunge and the sequel Miss Fishly. Both to the same person. Brice Taylor might not be on Aleni Callan's Christmas list, but she finds him under her tree anyway.Nurse Aleni Callan's anger toward God is fueled when Brice Taylor enters her life. Not only does Brice have no regard for his own life—as evidenced by the concussion and hypothermia he suffers after participating in the Polar Bear Plunge—he escaped the war in Afghanistan and lived to tell his story in a bestselling book, while her precious husband was killed. Searching for love everywhere but in the right places, Christie Hayes is confounded when chocolate brown eyes wink at her at her best friend's wedding. A narrow miss of the bedpan, and she discovers old Mr. Hartway's grandson, Colton Keller, and brown eyes are one in the same. So if you’d like a chance to win one or more of the books listed here, please drop a note by this Sunday at noon about why you’d love to read one. Be sure and leave your email addy! At conference and in conversations with a few amazing people who wanted to get healthier, I promised to give out some of my fave recipes. I have included some of my daughter’s crockpot recipes as well. Enjoy, get happy, get healthy, and don’t forget to walk…ever day!!! Jam your diet every day with as many super foods as possible. There are lists all over the internet. Easy to find, yummy to eat. JUST REMEMBER, ALL EATING HABITS SHOULD BE RUN PAST YOUR DOCTOR TO FIT YOUR BODY'S NEEDS. WHAT WORKS FOR ONE WON'T NECESSARILY WORK FOR EVERYONE. Mix all VERY well, use heaping teaspoonfuls on cookie sheet, press slightly. Let cool on sheet 1 min. Slide on wax paper to cool. Put two to a plastic sandwich bag and then put all of these servings in a gal size bag and seal tight. Put in fridge so they’re ready to go when you’re ready for a snack or a take-along meal. Great blast of protein to carry you through the day. Cook all day on low in crockpot. Take out and break up the chicken, serve in corn tortillas, or on salad, or leave whole and eat with plenty of the yummy stuff spooned on top. Top with fresh cilantro and a little greek yogurt instead of sour cream. Also a few slices of avocado add a fresh taste, and avocadoes are a super food. Mix all well and divide into 12 small containers. pull one out (about 10 mins) and eat. Really yummy. an oz of cream cheese and a few drops vanilla. Mix and eat. Yummy pudding! Take an oz of lite, not fat free-yuck-cream cheese, add a few drops of vanilla, and mix in Stevia to taste. About two teaspoons. Slice an apple and dip it in the cream cheese. Tastes like a big, fat slice of apple cheesecake. Great quickly snack when you want sweets. into 24 aluminum (they release easier) muffin cups and bake 20 mins. VERY YUMMY, if you really want that sweet burst, sift 1T powdered sugar over the top, but believe me, you don't need it. These are very rich. Let cool! And eat! It doesn't EVER get old. Miss Fishfly released today and I'm so excited! Miss Fishfly is about my fictitious town of Anchor Bay. 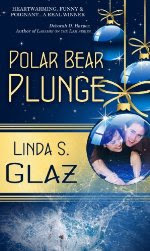 And is the sequel to my other novella, Polar Bear Plunge. realization they are worthy of love. An old man and God join forces to teach them a lesson about self-worth and love.